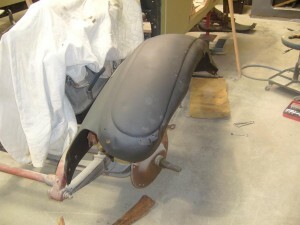 The cowl panel work finished. 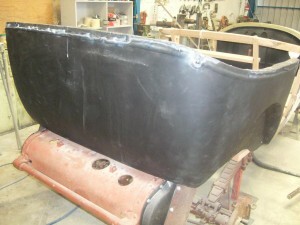 The rear tub sandblasted with rust removed ready for filler. 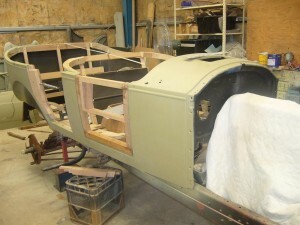 The main body work finished, with new door frames being made. 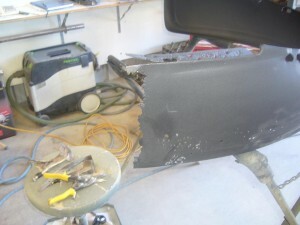 The front guards were quite bent out of shape and had a number of rust holes. 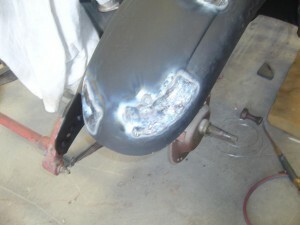 The front left hand guard welded up. 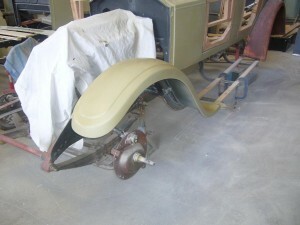 The rear guards had lots of rust holes and were missing the bottoms. 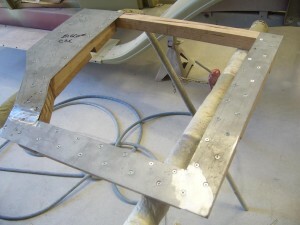 The finished door frame ready for the outer skin. 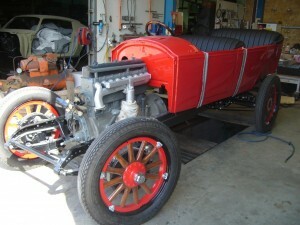 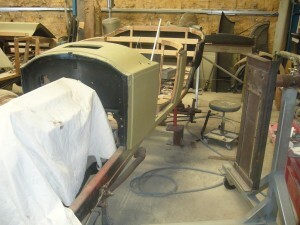 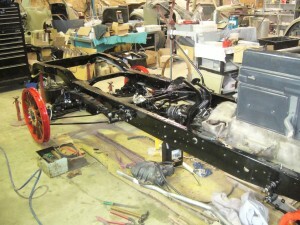 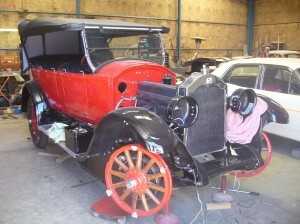 The chassis fitted with running gear, ready for body to be fitted. 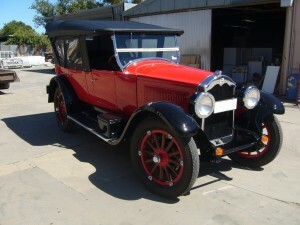 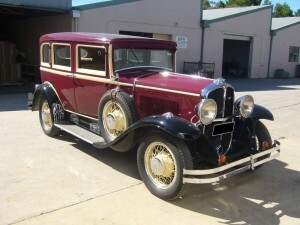 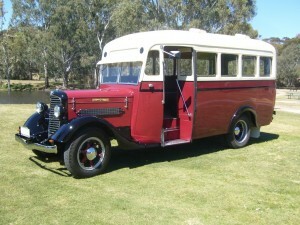 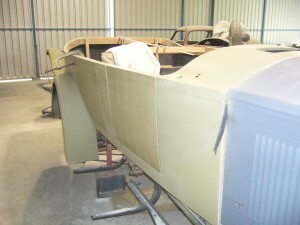 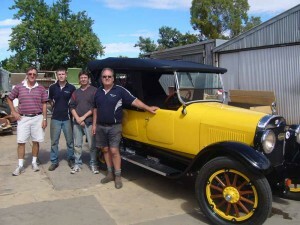 Body and doors fitted to chassis, with trim finished. 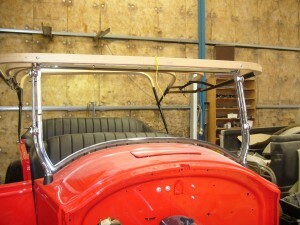 Setting up bows and steel work for the hood. 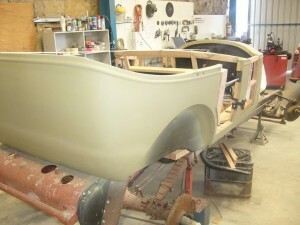 The hood fitted with wiring beginning to be fitted.